GRAPHISOFT is going to release ARCHICAD 19 in June, 2015 together with an extensive list of 26 local versions. ARCHICAD® 19 will significantly enhance BIM performance through its powerful 64-bit and multi-processing technologies with predictive background processing. Superior Work Environment - The new Tab Bar for multiple viewpoints offers fastest toggling between Floor Plans, Sections, Elevations, and 3D windows. Permanent Guidelines - Latest Guide Lines, Snap Guides and Snap Points facilitate constant graphical support for perfect element formation and editing. Interactive 3D Surface Painter - Insightful, 'drag-and-drop' building model surface editing in 3D offers instantaneous, visual feedback. With new Surface Painter, ARCHICAD® 19 allows designers to modify model surfaces in the 3D window with a simple mouse click through a movable palette named Surface Editor. 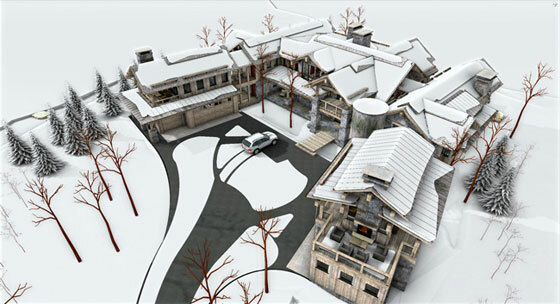 Easier, rapid 3D navigation with OpenGL – By applying a completely-optimized OpenGL engine, ARCHICAD® 19 provides easier, quicker 3D navigation while dealing with enormously outsized building models. Predictive Background Processing - ARCHICAD 19 capitalize on disused computer volume with the prediction of prospective future user actions and arranging them in the background. This significantly improves the susceptibility of the application in general, so it becomes more responsive for different types & sizes of projects. Optimize the process in OPEN BIM – With ARCHICAD 19, the users will be able to import the IFC model precisely keeping the same look in the original application where it was generated. Collision detection is now possible with all imported IFC MEP elements. Superior collision detection performance transforms ARCHICAD 19 to be a exceptional BIM authoring tool with developed interdisciplinary coordination functionalities.